I first heard about Arthur and George, a 2015 ITV series through a posting by John Rakestraw on Google Plus. He gave a mini description of the series starring Martin Clunes as Sir Author Conan Doyle. Clicking on the link, Arthur & George Season 1 episode 1 I began to watch. The series focuses on George, a young solicitor who is accused of murdering animals near his family home and church in the village of Wyrley. He is arrested and serves time in prison. Upon his release three years later, he writes to Sir Arthur Conan Doyle for help in clearing his name so he can practice as a lawyer again. Unfortunately the video cut off just as Doyle was chasing a hooded figure from the church yard. I couldn’t find a video that picked up where it left off so I looked in my library’s system and found the book by Julian Barnes. I checked out the book and began to read it. Right away there were differences from the video which is only natural. TV series and other media entertainment tend to condense the books on which they are based. The ITV series was no different. In the book Arthur and George are introduced through their first memories as toddlers. Then Barnes moves them along into their teens and finally adulthood. Unlike the series, the murder of animals takes place over many years with an interval where none are murdered. And one last example is Doyle does not lose his wife early like in the series but in the third act of the book. I felt Barnes painted a very detailed picture of the lives of George Edalji and Sir Arthur Conan Doyle. He showed how they lead very different lives but are similar in personality. I felt especially bad for George and very angry with his local constabulary who saw him as a guilty party, without ever considering him a victim. Although he never did, he is accused of writing hateful letters to himself and of being part of a gang that was never proven to exist. 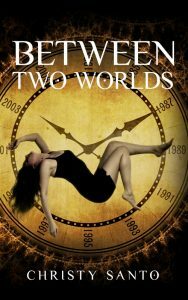 For a while I was put out by how long Barnes dragged out George’s torment, but once he met Doyle I let it go. 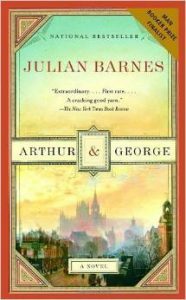 If I had been able to find other videos of Arthur and George on any website, including Youtube or AcornTV’s streaming site, I would have watched it over reading the book. But, since I didn’t, I am very glad I got to read this wonderful book. ← Am I Smarter Because of The Internet?